Big Data & Social Media – Are they going hand in hand? 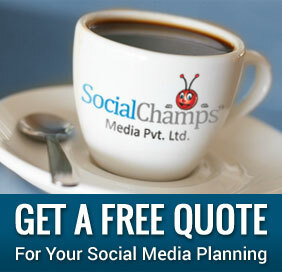 Home » Big Data & Social Media – Are they going hand in hand? Big Data and Social Media – You might have heard the terms. Do these two phenomenon go hand-in-hand? Yes, of course they do. Social media – A generator of user opinions and conversations creates big data. With a number of social networks and channels, social media is a huge mine of information for marketers as it’s filled with data related to user locations, conversations, and opinions. Big Data is no new fancy term of technology; it just refers to the big amount of data that is available on a subject. How big? Big data is measured in petabytes (1,024 terabytes) or exabytes (1,024 petabytes), which amounts to billions or trillions of records. Variety: The diversity of data collection. Big data is literally big. This size and scale of data collection is creating a huge wave of excitement in the tech community. How Big Data and Social Media correlate? Social media and Big Data go hand-in-hand. Social media is a HUGE producer of data about everything by everyone. Likes, Comments, Shares, Re-tweets, Check-ins, Reviews, and Follow etc does tell something about your likes, dislikes and everything in between. With this huge constant stream of social data, various companies are discovering new creative ways to connect, showcase and analyze the data points to capture consumer attention. With a large set of information to draw from, marketers can definitely analyze broader trends to get a stronger understanding of their audience. This allows businesses to create and engage a more targeted audience for their brands by generating specific marketing campaign. So how do social media marketers use Big Data? Knowing your real audience: Big Data has revolutionized the way the social media campaigns run. It has made easier for big brands to know their audience, their interests, preferences and beliefs. Based on this innovative data points, a brand is well aware of when and how to increase their brand awareness among its target audience. they buy online/offline, you get a clear picture of the products/services they like. It’s important to step into your customer’s shoes while making a product or rendering a service. In case, your product/service is not that exciting as per Big Data trends, it’s wise to modify/reassess it and then re-launch it again. Use your customer’s communication tools to spread the word: Big Data analytics are a blessing for the organizations that prefer to select the communication channel as per their customers’ preferences. Know about your customer’s preferred source of receiving information and you’ll be able to spread your marketing message like fire and tailor your content strategy for social media. As social media continues to be a major part of any business strategy, big data becomes an integral part of managing social strategy. As you grow, the amount of mentions about your brand/product/service will grow and it is good to have this data stored and searchable. Various social networks allow dozens of ways to interact with your audiences at any time from around the globe. The relationships between a brand and its consumers have become smaller because of social media while the data has become much, much bigger.